Investigators at Massachusetts General Hospital (MGH) have just released long-term data from a controversial study that used a generic vaccine for tuberculosis to reverse advanced type 1 diabetes. The MGH researchers showed that three years after receiving two administrations of the Bacillus Calmette-Guérin (BCG) vaccine four weeks apart, all members of a group of adults with longstanding type 1 diabetes showed an improvement in HbA1c to near normal levels—an improvement that persisted for the following five years. Interestingly, the MGH team, which published their findings in npj Vaccines through an article entited “Long-term reduction in hyperglycemia in advanced type 1 diabetes: the value of induced aerobic glycolysis with BCG vaccinations“—also reported that the effects of BCG vaccine on blood sugar control appear to depend on a novel metabolic mechanism that increases cellular consumption of glucose. BCG has been used for almost a century to prevent tuberculosis, and in the last few decades was shown to boost production of tumor necrosis factor (TNF), which may be beneficial in autoimmune diseases both by eliminating the autoreactive T cells that attack an individual's tissues—in the case of type 1 diabetes, pancreatic islets—and by inducing production of regulatory T cells (Tregs) that could prevent an autoimmune reaction. Dr. Faustman's team first reported many years ago that inducing TNF production could cure type 1 diabetes in mice, but since TNF dosing is toxic in humans, clinical trials have utilized BCG for its ability to elevate TNF levels safely. The initial clinical trial results, published in 2012, reported that two doses of BCG spaced four weeks apart led to reductions in autoreactive T cells, an increase in Tregs, and what turned out to be a transient increase in insulin production. But by the end of that short 20-week trial, there was no reduction in HbA1c, the established measure of blood sugar levels over time. The current study results are an extension and expansion of that trial with long-term follow-up, from 282 human study participants—52 with type 1 diabetes who participated in the BCG clinical trials and 230 who contributed blood samples for mechanistic studies. Amazingly, the MGH team showed that regular monitoring of clinical trial participants found HbA1c levels of those receiving BCG had dropped by more than 10% at three years after treatment and by more than 18% at four years. 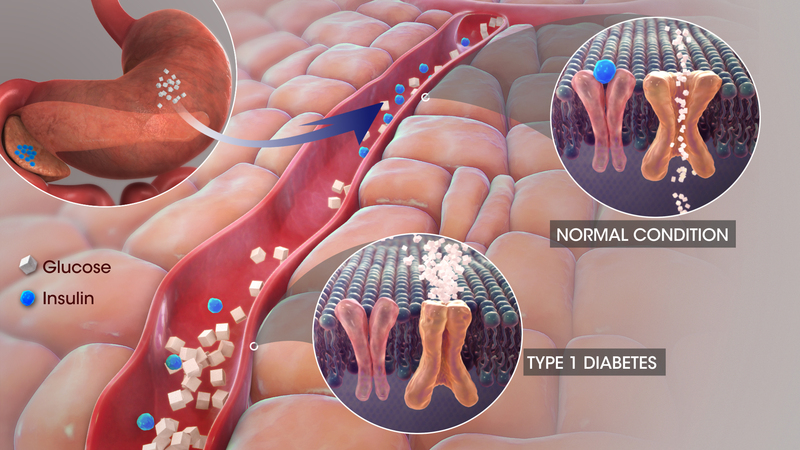 That reduction was maintained over the next four years, with treated participants having an average HbA1c of 6.65, close to the 6.5 considered the threshold for diabetes diagnosis, and with no reports of severe hypoglycemia. Participants in the placebo group and a comparison group of patients receiving no treatment experienced consistent HbA1c elevations over the same eight-year period. Carefully studying the molecular pathways that cause BCG administration to produce its beneficial effects, the investigators identified a mechanism never previously seen in humans in response to treatment with any drug—a shifting of the process of glucose metabolism from oxidative phosphorylation, the most common pathway by which cells convert glucose into energy, to aerobic glycolysis, a process that involves significantly greater glucose consumption by cells. The researchers also found that BCG could reduce blood sugar elevations in mice that were caused by means other than autoimmune attack, raising the possibility that BCG vaccines could also be beneficial against type 2 diabetes. “The clinical effects and the proposed mechanism demonstrated are exciting and add to the emerging consensus that the BCG vaccine can have a lasting and valuable impact on the immune system,” commented Mihai Netea, Ph.D., professor in the department of internal medicine at Radboud University Medical Center in The Netherlands, who was not directly involved in the current study. “We know, and this study shows, that BCG vaccination induces epigenetic reprogramming at the chromatin architecture level and functional alterations indicative of a permanent change in immunity.